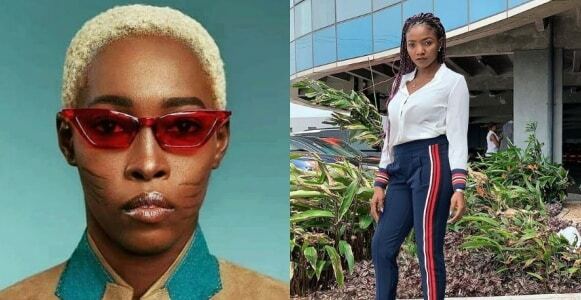 Nigerian model, Adetutu, has called out singer, Simi for using a derogatory ‘tribal’ lyric in her cover of the trending #FvckyouChallange song. Model Adetutu censures Simi for utilizing harsh 'ancestral' verses. According to Adetutu, Simi’s choice to use the phrase: “sè mo kòlá ní” which can be translated from the Yoruba Language as Do I look stupid?, is quite derogatory. Model Adetutu censures Simi for utilizing harsh 'ancestral' verses. I have tribal marks and I really do appreciate it now because it’s my tribal marks and a lifetime heritage. Listening to @symplysimi #fvckyouchallenge reminds me of what I have been hearing ever since I was wise enough to know when people are passing insults to people with tribal marks. Mostly said by some of my Yoruba people, “sè mo kòlá ní” means do I look like an idiot/stupid? People with tribal marks are not daft or stupid, I don’t care if they have been saying for long but it is not a right thing to say.